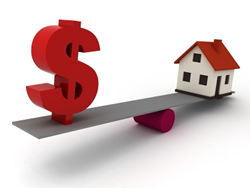 When Can A High Discount Rate Be Acceptable? Settlement Quotes would like to correct a myth about the pricing of structured settlement factoring transactions that we may in fact have created. Settlement Quotes prides itself on our low discount rates that we supply to our clients who are selling the rights to their structured settlement payments. In the past we have discussed rates in the range of 8-10%, but can these rates translate to every factoring transaction that comes through the door? The answer is no. Why can't every transaction see rates under 10%? Can I still receive a great deal even though the rate is above 10%? The answer is yes. Even though it is impossible for some cases to receive a rate of 10% or less, it is still possible to receive a great deal. Lets use an example to show this scenario. Bob would like to sell the rights to his single $50,000 payment in August of 2010. He receives a quote of $38,000. Is this a good deal? Even though the rate of this transaction is 13.2%, it is still a very good deal. Why is the rate 13.2%? At 8% the transaction would provide us a quote of $42,000, but every factoring transaction requires court fee's of $3,500 to $4,000, netting Bob $38,000. Even though $38,000 may seem like a good quote, in the state of North Carolina this transaction would be denied due to a state law requiring every transaction to have a rate under prime plus 7 (currently 12%). This was a scenario of an individual who came to Settlement Quotes interested in selling her payment. This woman's house is going to foreclose and she needs a way to pay it off. Unfortunately, there isn't anything we can do. Are the structured settlement recipients in the state of North Carolina being overprotected?